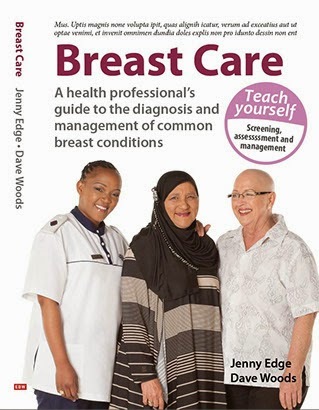 We are in Johannesburg at Chris Hani Baragwanath Hospital, Soweto, for the residential part of the breast course for nurses. Dr Ronelle de Villiers, Sr Correia, Michelle Norris and I flew up from Cape Town. We have been very warmly welcomed by Dr Herbert Cubasch and his team. We started the day with lectures and then Dr Blanchard came to teach us about the management of palliative care patients. One point that came up in the discussion was that the availability of morphine is an indication of whether or not palliative care facilities are available in a particular country. Only 11/60 countries in Africa have morphine available. After an excellent lunch (thank you Herbert, Maureen Joffe and Lucille), we had practical sessions. Participants had an oportunity to do FNAs and tru cuts. We were privileged to be joined by Dr Louella Ritz who is a radiologist who specialises in breast radiology. Sarah Nietz from Morningside Clinic and Charlotte Maxeke Hospital joined us for the session. With her colleagues she had seen 135 women in the breast clinic reminding us how important it is for us to train the nurses. The practical session was sponsored by Bard and Impilo Medical systems. A huge thank you to Brendan Marshall and his team and Charles Clark and his team. We spent an hour with Sr Corriea who expertly took us through the principles of wound care. The day was finished with cocktails and snacks kindly donated by Bard. We must thank our 2 main sponsors who continue to give us so much support: Netcare (particularly Christiaan Barnard Memorial Hospital) and Carecross. Thank you Chris Tilney and Ian Black.